October 31, 2018 As teased yesterday, Toby Fox has released a new Undertale game, which can be downloaded for free – and may be demo of Undertale 2. 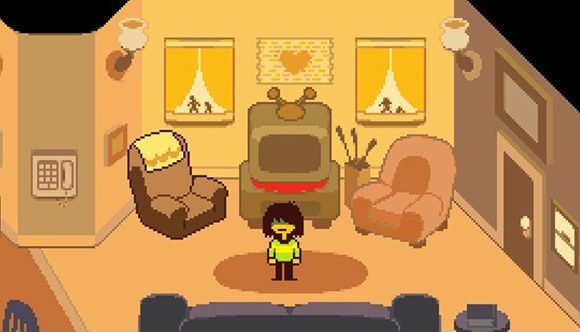 As Undertale creator Toby Fox hinted yesterday, the official Undertale twitter account has revealed some big news for fans of the game – there’s a new playable game, which you can download for free, and it seems to be the prologue for Undertale 2. The account’s latest tweet sends you to a website called “deltarune,” which is an anagram for Undertale. After downloading and playing the ‘Survey Program’ provided, it’s soon revealed as a new Undertale game – featuring the same play-style and a number of familiar characters. You can download the game here. We won’t spoil any of the events of the new game, as part of the fun is to experience them yourself, but we will say that the demo showcases a new battle system and menu, as well as a new playable character. We haven’t got all the way through it yet, but with the new changes it definitely seems to be a demo or prologue for a proper sequel. The one thing we can’t answer yet is Toby Fox’s suggestion that players need to have completed Undertale before trying the new game. He could just mean that there are references to the first game’s events, or there may possibly be new or different content for anyone with a completed Undertale save file. Knowing how committed Undertale fans are, we’re sure the answer will be known soon.